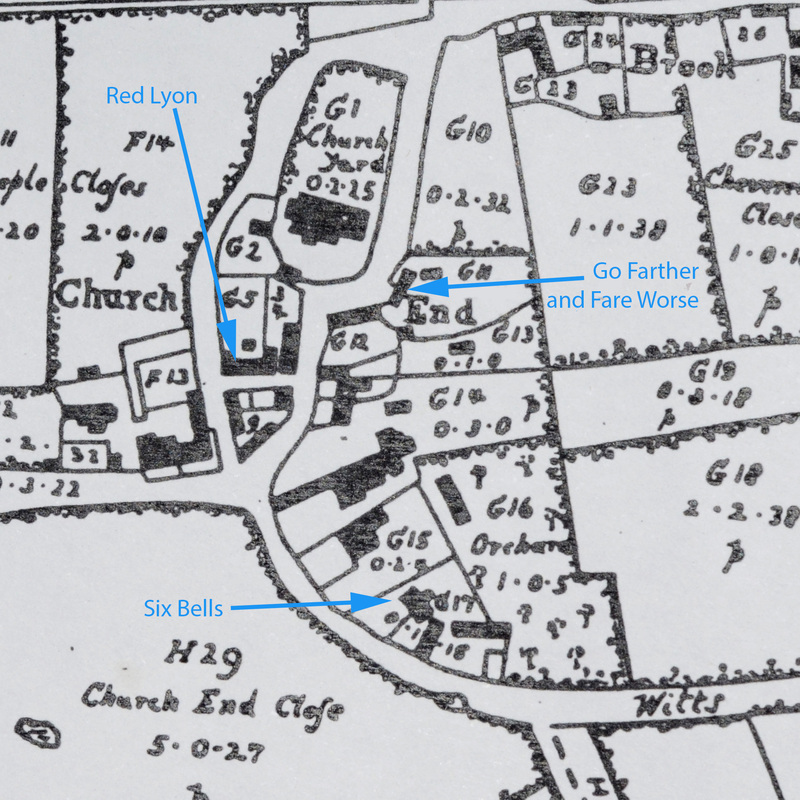 The Six Bells was the building in the plot marked “G17”, almost certainly the building nearest the “G” which is the main house today. 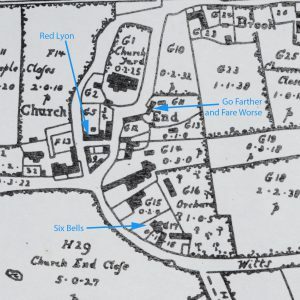 The 1806 Enclosure Map and notes give the same place as “Five Bells late a public house” on plot 294 (on page 102 using the page numbers at the bottom). It’s definitely the same building. 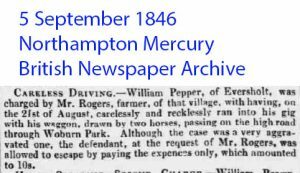 In 1841, William Pepper and his family lived in Church End, but it’s not clear that it was at the Six Bells. He lists his occupation as “Sawyer”. 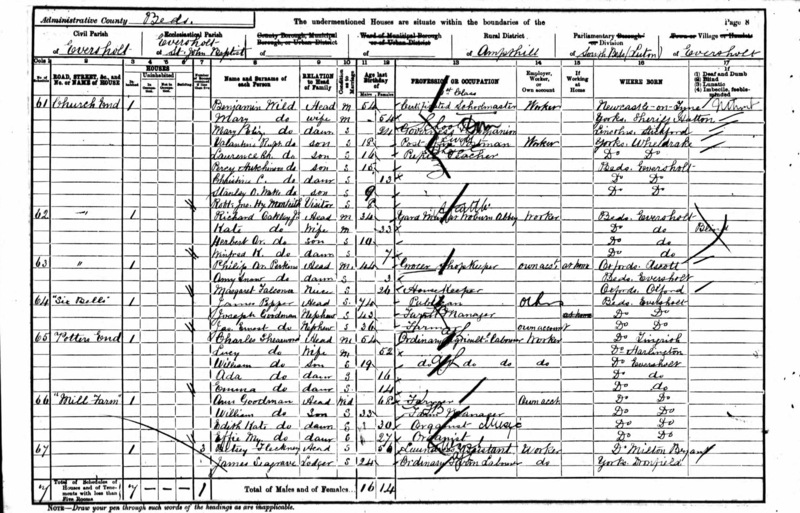 These census images are provided by Ancestry.com, who seem to allow reuse of their images. Click the images for bigger versions. It’s worth noting that there were two William Peppers living in Eversholt. 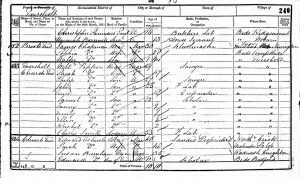 The landlord in the Six Bells was born about 1802. 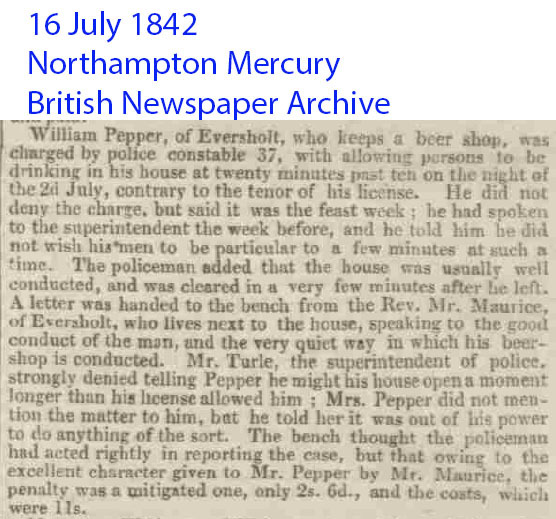 The other William Pepper, who stars in several court reports and Bedford Gaol records, was born about 1821. It’s not clear how these are related. 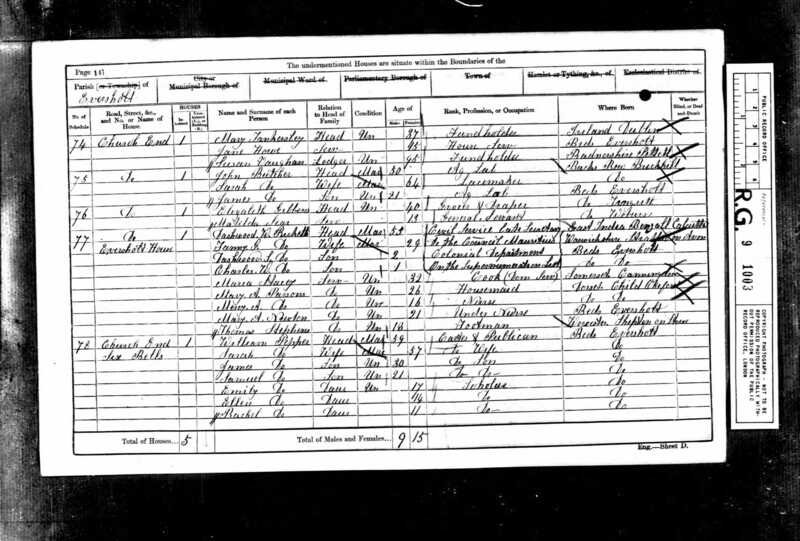 In 1851, William was still living in Church End. 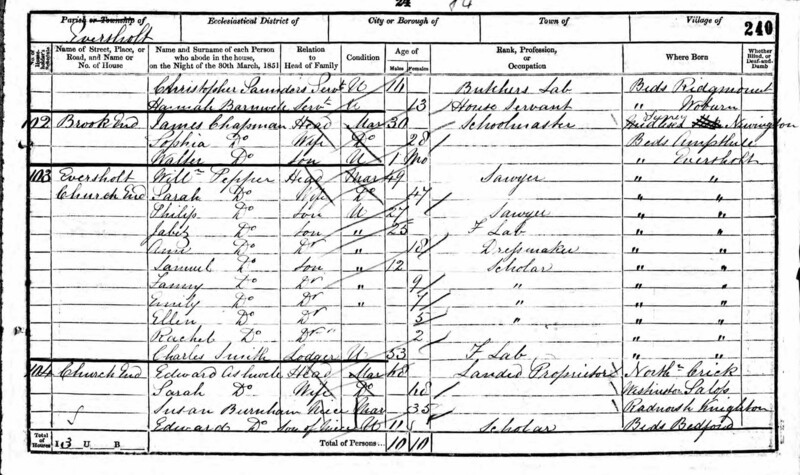 He’s listed as the first entry in the census book, which would make sense if this was the Six Bells, the first house in Church End. 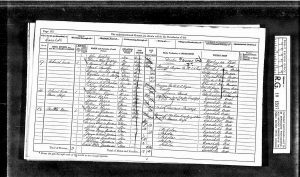 In 1861, William Pepper lived there as “Carter and Publican” with his wife Sarah, and five children. 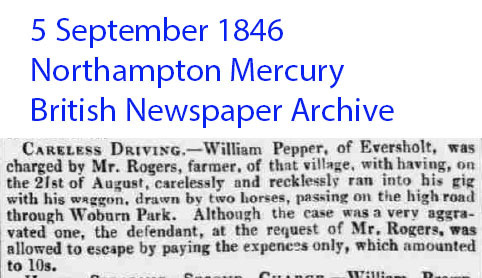 The Pepper family also ran the Roebuck in Hills End, so it seems to have been a family calling to run inns. 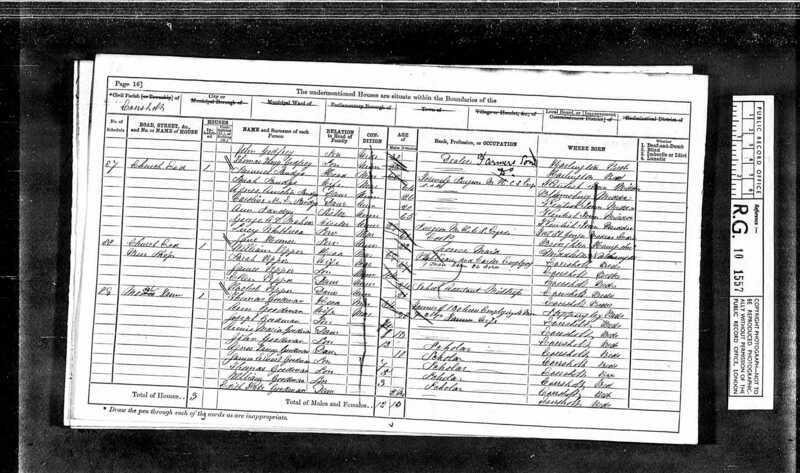 Here’s the census entry for 1861. 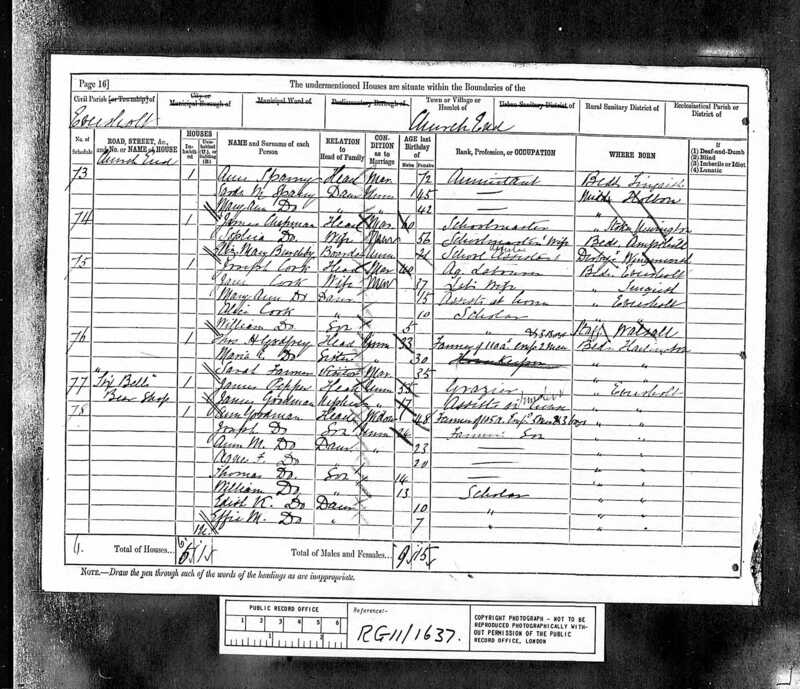 William died in 1875 and Sarah in 1876. William’s son, James Pepper, took over the business. 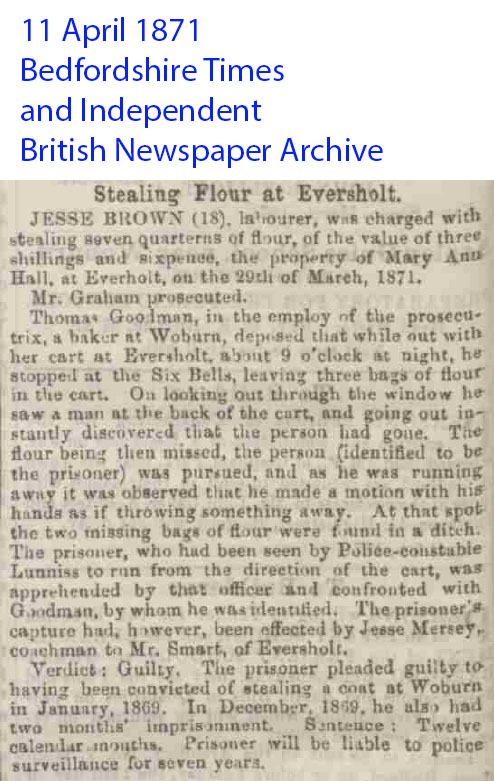 In 1881, he lived at the Six Bells with his nephew, James Goodman, just 17. 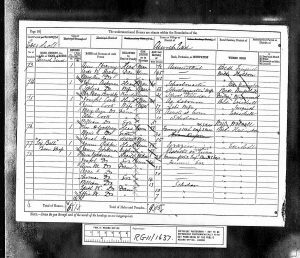 JP listed his occupation as “grazier”, while JG “Assists in house – Inn Servant”. 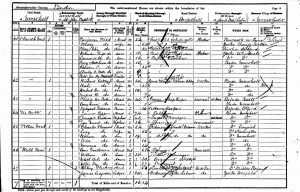 In 1901, James Pepper was a publican, his nephew Joseph Pepper was the farm manager, and nephew James Ernest Goodman was the farmer. James Pepper died in 1902. 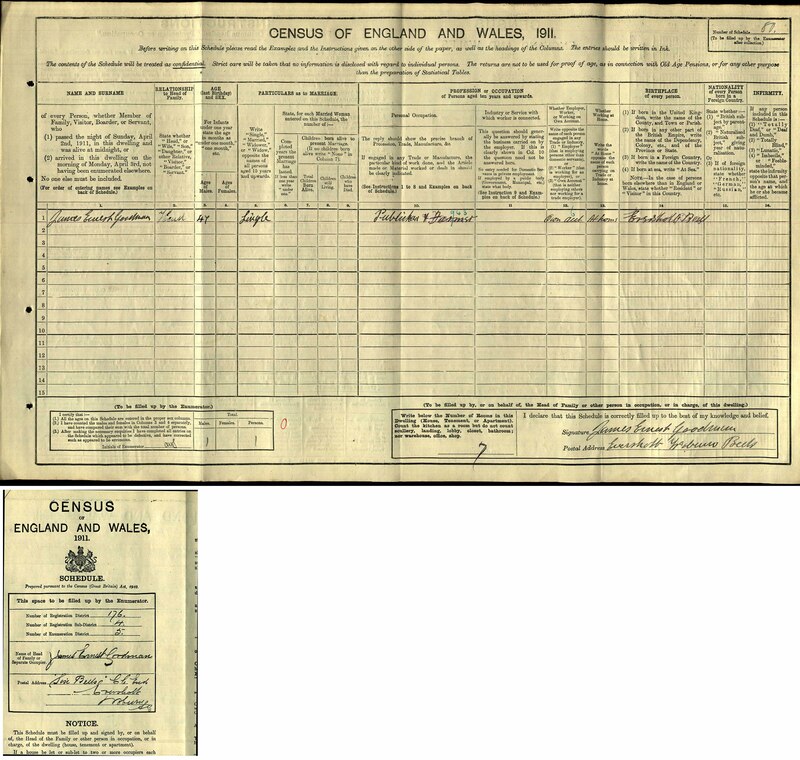 In 1911, James Ernest Goodman lived in the Six Bells on his own, working as “Publican and Farmer”. 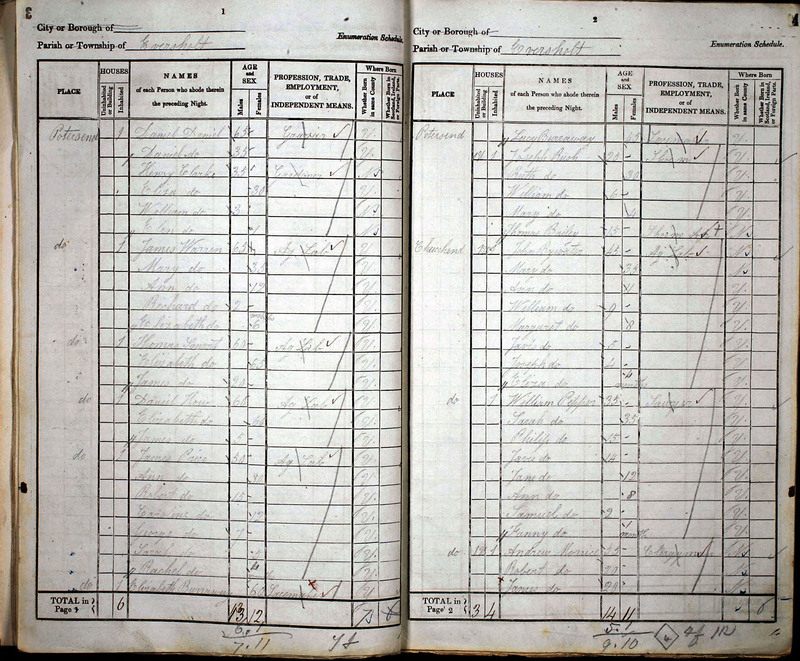 Trade directories provide more information. 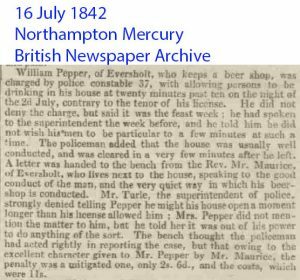 The 1847 directory lists William Pepper as a “Beer Retailer” in Church End (although it’s still not explicit that this was at the Six Bells). All the directories up to 1914 list first William Pepper, then James Pepper, then James Goodman, as beer retailers in Church End. 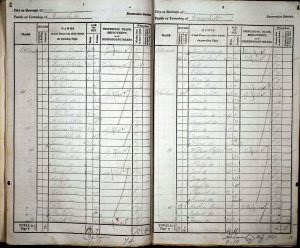 The 1920 Directory lists James Ernest Goodman as a farmer, and not a beer retailer, in Church End, so one may assume that he had given up the trade by then. The Six Bells has not been a pub of any sort since then. James Ernest Goodman died 29 October 1942. The Six Bells stayed in the Goodman family, but was apparently let out as a private house. Ivy Oakley told Sheila Williams that she lived there at some time. In 1963, by then known as “The Nest”, the freehold was sold to Audrey Tippetts. Toby Lousada very kindly made available some sale documents for the Six Bells. They show that the freehold of the Six Bells was owned by the Morris Brewery in Ampthill in 1907. That was a very big concern, sited where the Waitrose car park now is. In 1907, Morris’s took out a mortgage to raise £60K, worth at least £5M today. 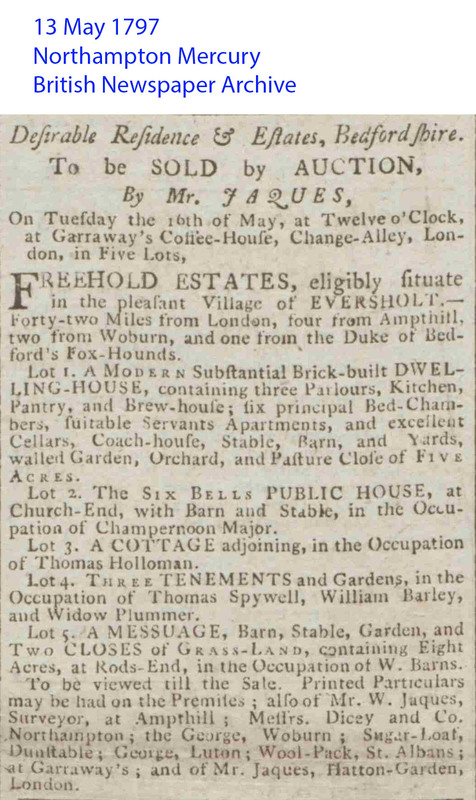 The Six Bells was one of what must have been a large bundle of properties mortgaged. 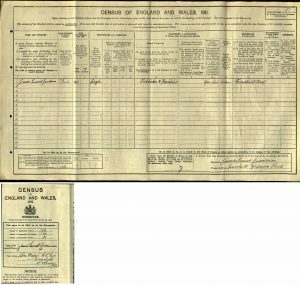 In November 1916, the mortgage hadn’t been paid off, so the freehold of the Six Bells was sold to raise money. 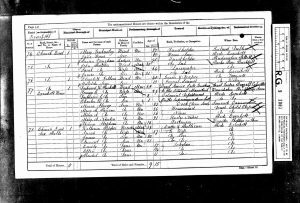 James Ernest Goodman bought the property for £350. 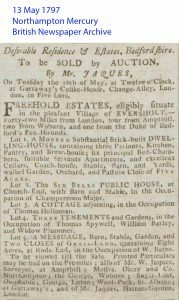 For the curious (or frankly nosy), Mouseprice in 2016 guesses that Wakehams is worth £637K. The inflated value of £350 from 1916 is at most £190K, so houses have been an excellent investment. £637K represents an annual rate of compound interest of about 7.8% over a century. Other sites and documents have spoken of the Six Bells being called the Eight Bells. 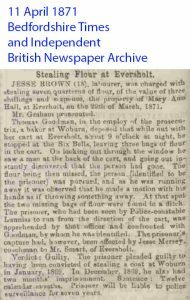 I (EJW) have found no evidence at all that the name “Eight Bells” was ever used. The “Six Bells” name is allegedly a reference to the peal in the nearby church tower, which has never contained eight bells. At least one document puts the Six Bells in Potters End. Again, I have found no evidence that this was ever true. i Egginton. ‘ 4 42 Friendly Society. Friendly Society. Michaelmas, 1795. Six Bells Tavern,Eversholt. Falcon Inn, Eversholt. 13/7/1814 29/2/1844. 149 Friendly Society. Red Lion Inn,Eversholt. 17/9/1839 21/12/1843. 256 Friendly Society. Black Horse Inn, Everton. 2/7/1846. Press cuttings for the Six Bells. Transcript to follow.